If you want to know where robot technology is at present go to the Science Museum for the Robotville Festival (on until 4 December). Geeks with their robots are there to answer all the questions you can throw at them. Some I found a little scary, one or two had "technical issues" and others just wowed. I decided to show you Kasper. 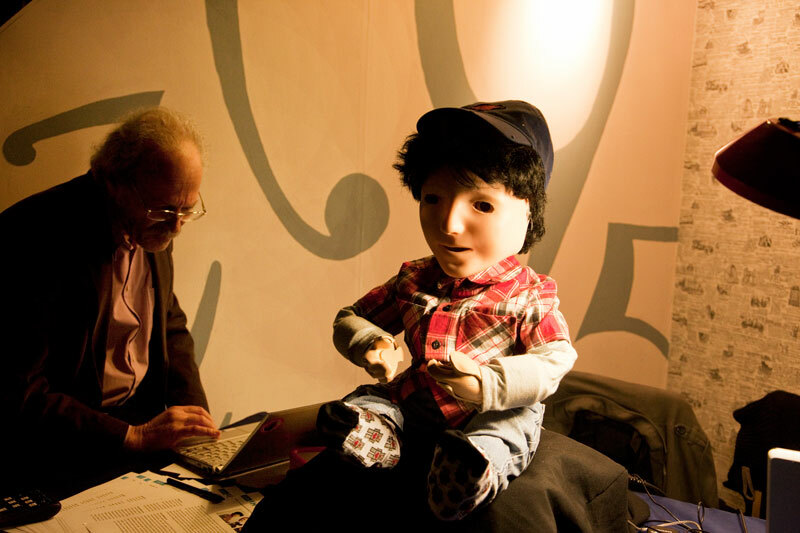 Kasper is a robot who is successfully being used to assist children with autism. The official website for Kasper is down this morning but you should be able to find information from the University of Hertfordshire. Also a youtube here with Kasper at work. Very interesting. That robot has a solid purpose! I don't know why, but Robots have always actually kind of creeped me out. Ok, that one is a little creepy, but so very cool! I'll try to look into this more as my boy LOVES robots.